Participants must create an interior design solution that fits a three-person household living in cubicles or sub-divided units. The objective is to design low cost, economical solutions that offer comfortable home environments and learning space for children. Submission of designs must consider the aspects of spatial planning, lighting design, furniture layout and use of environmentally friendly materials. The submissions must also be energy efficient, offer sufficient ventilation and make effective use of natural and artificial light. The entire interior floor space will be approximately 70 square feet. 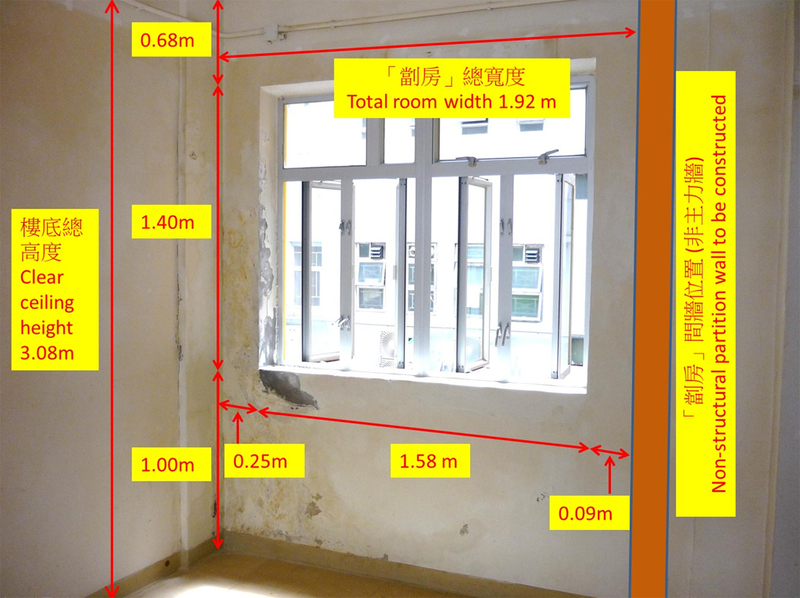 This room is facilitated with one glass window with area of 1.4 (H) x 3 (W) meters. The windows can be opened, facing northwest, and offer 2 to 3 hours of direct sunlight in the afternoon. 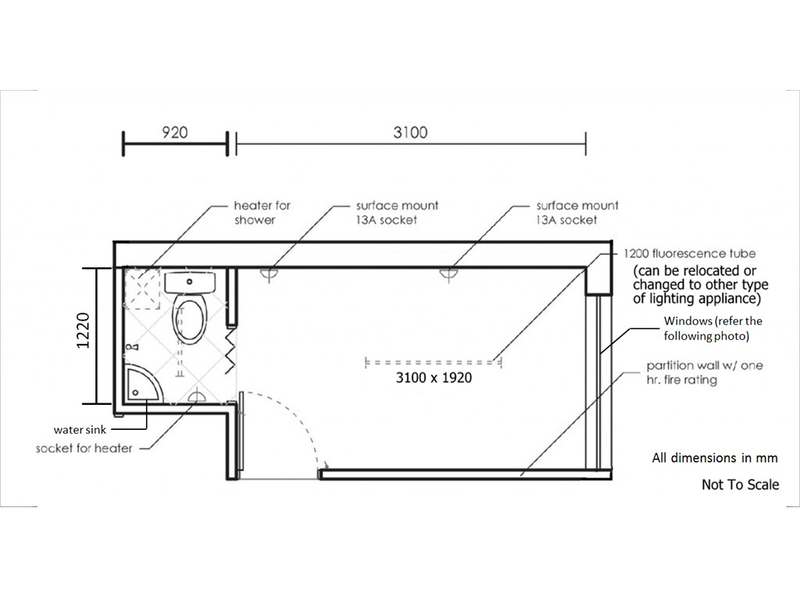 Designs must be based on the floor plan below, which include toilet, but no preset cooking spaces and the current setting cannot be changed. Interested participants, after forming a team, can join this competition by sending the completed application form, together with a copy of the student ID card of each team member by email to inventor@thewgo.org, during 23 November, 2013 to 15 January, 2014. Applicants under the age of 18 are required to submit the “Declaration of Participation” form signed by a guardian, or other school teachers. After the deadline of application on 20 January, 2014 all participating teams will receive an email invite to join the Briefing Session on 25 January, 2014. A “Competition ID Card” will also be given out to each team on the same day. Participating teams shall prepare their designs according to the guidelines provided during the Briefing Session, and submit the design in PDF format, together with the “Competition ID Card” by e-mail to inventor@thewgo.org on or before 10 February, 2014, 5:00 pm. 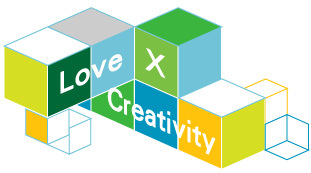 By the end of February 2014, the judge will select 10 teams as finalists from both the Secondary and Tertiary Group for the final round and the finalists will be notified to attend a variety of free workshops held during March and April 2014. These workshops are mainly to help the finalists further improve their designs and innovative concepts. 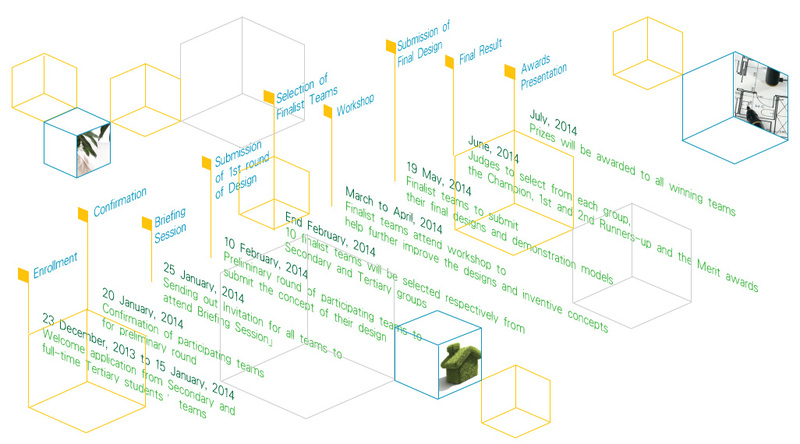 Finally, all finalists are required to submit the final design and demonstration models, on or before 19 May, 2014. 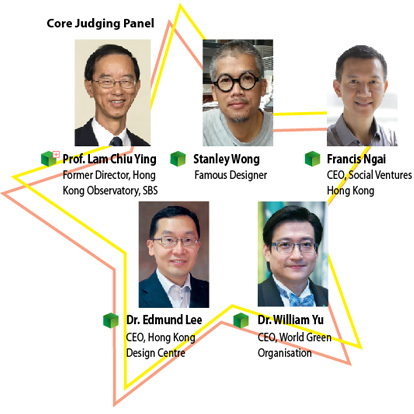 The final judging will take place in June whereby the Champion, First and Second Runners-up as well as Merit awards will be selected. All winning teams will be awarded with prizes in July 2014.